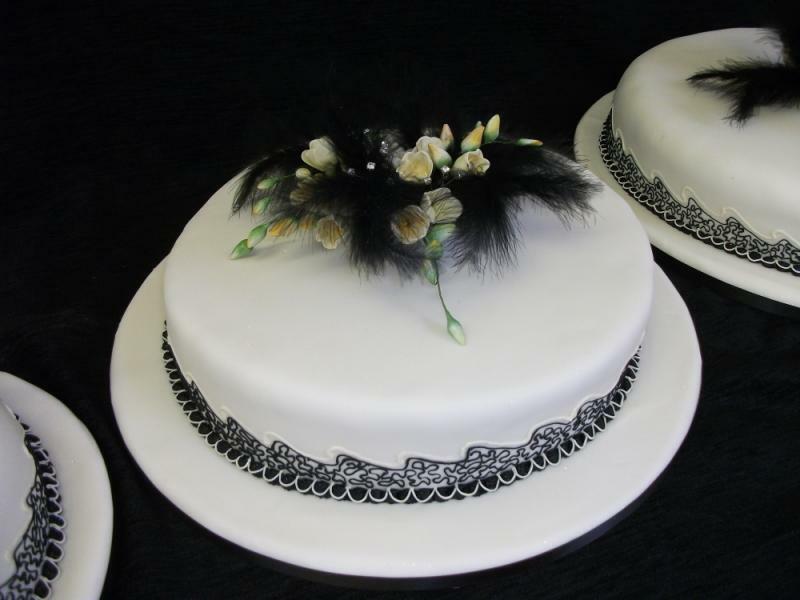 Any of these designs can be replicated or adapted to suit your own wedding theme and colour or we can create a completely original design to match your needs. 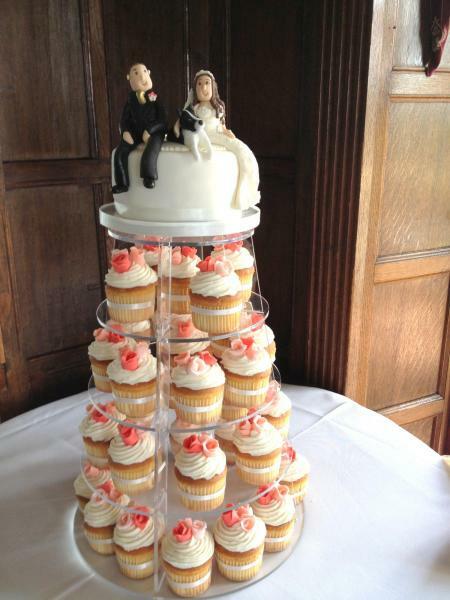 Tiered cupcakes in any flavour sponge, and decorated to match your wedding theme. 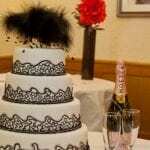 Why not finish the look with a small iced tier, topped with sugar paste figures of the bride and groom. 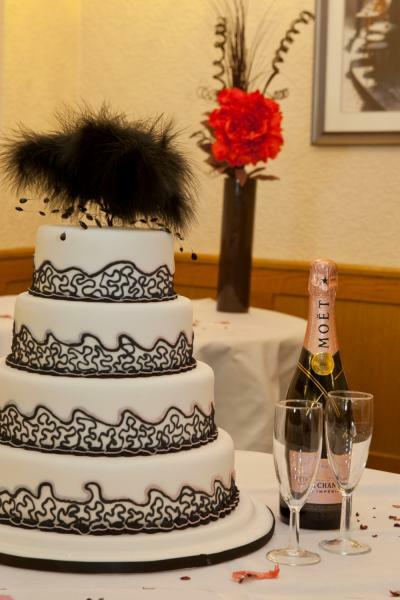 The brief for this particular cake was to include the family dog on the cake also! 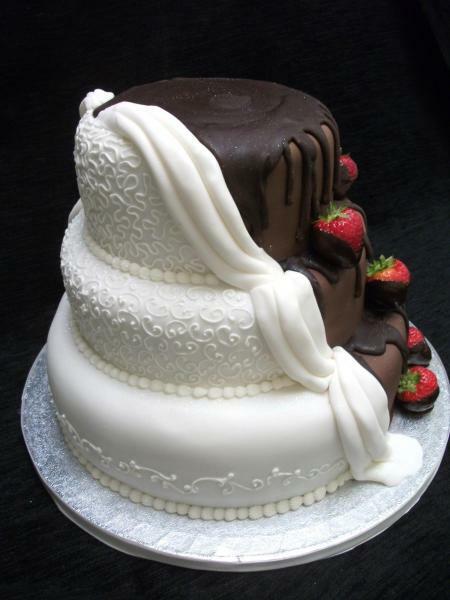 Three or four tier stacked wedding cake. 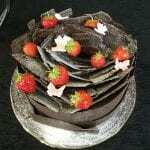 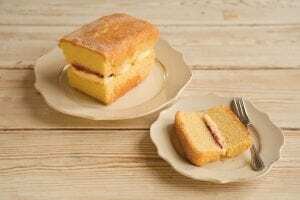 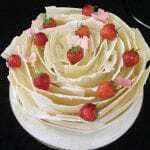 This can be made in sponge cake, fruit cake or a combination of the two. 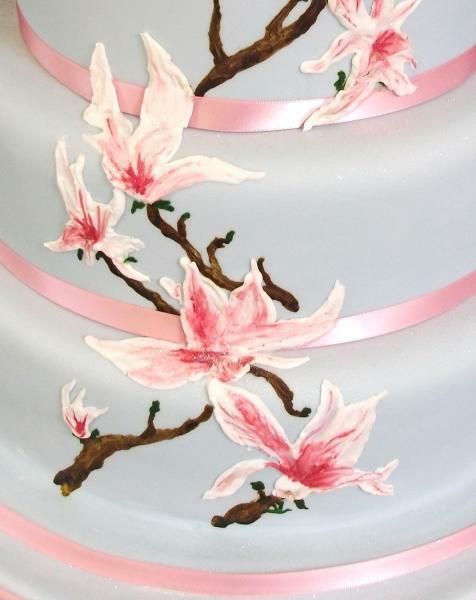 Candy stripes are applied by hand in the colour theme to match your wedding, and the overall effect is finished with your choice of hand made sugar paste flowers. 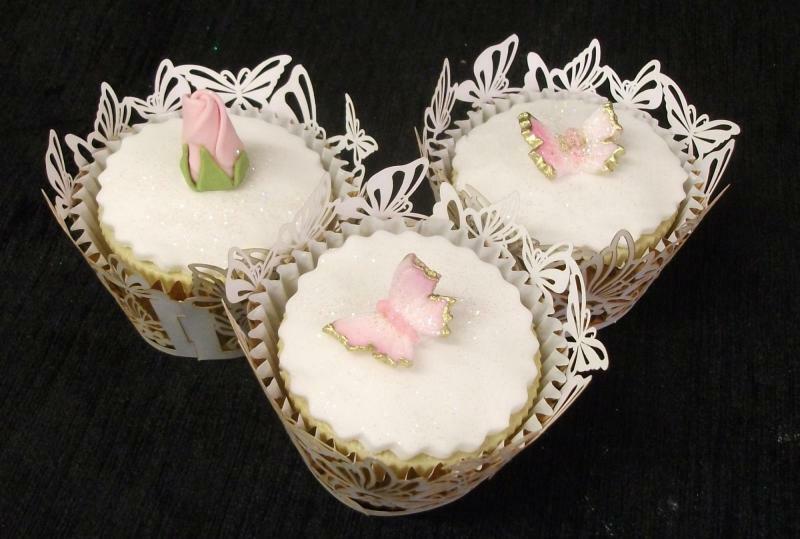 Becoming ever more popular, these little show stoppers can be decorated to match your wedding theme, and are available in a variety of flavours and designs. 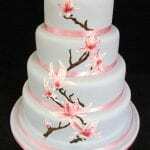 A four tier stacked wedding cake in either finest fruit or sponge cake, covered in sugar paste of your colour choice. 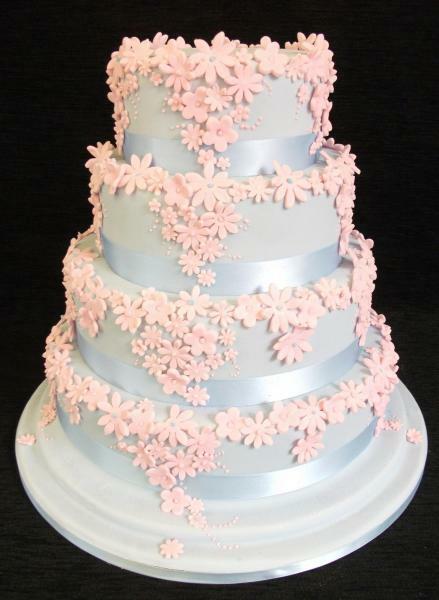 Hand cut flowers in a complimenting colour are then individually applied to give a simple yet beautiful effect. 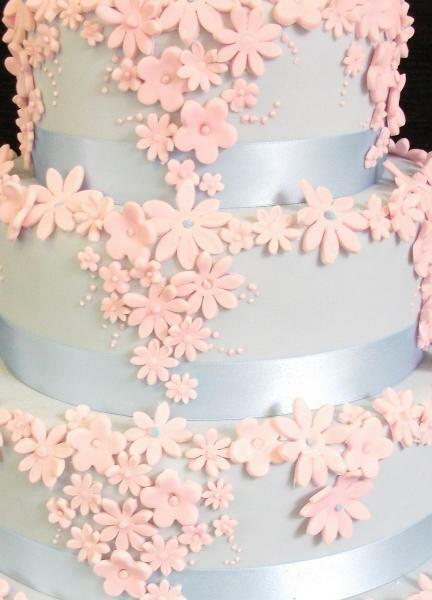 Pastel tones are shown here but this also works beautifully with black & white, coffee & cream and pink & brown. 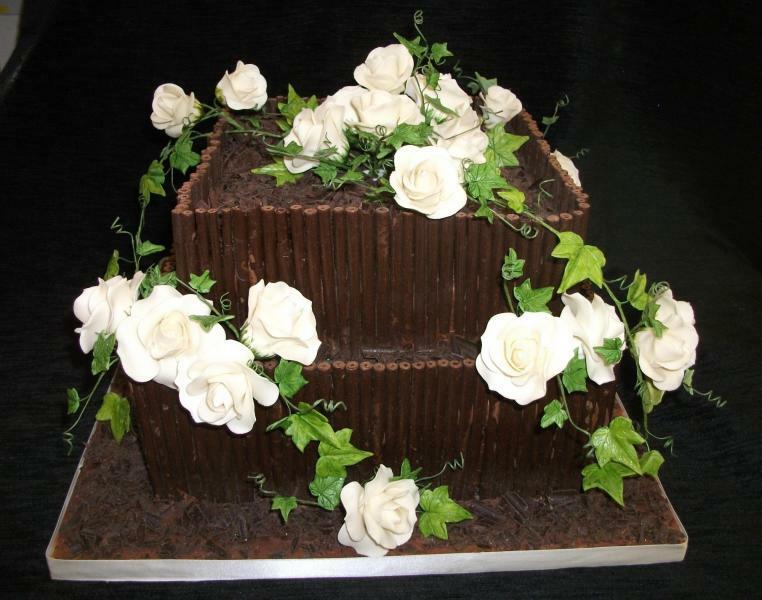 This cake works well in two or three tier and makes a simple yet striking centrepiece. 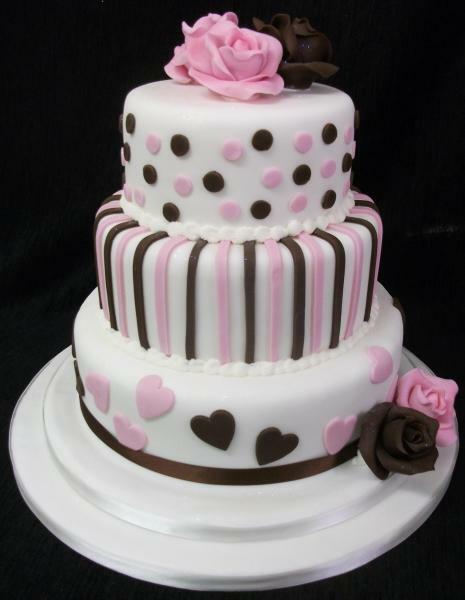 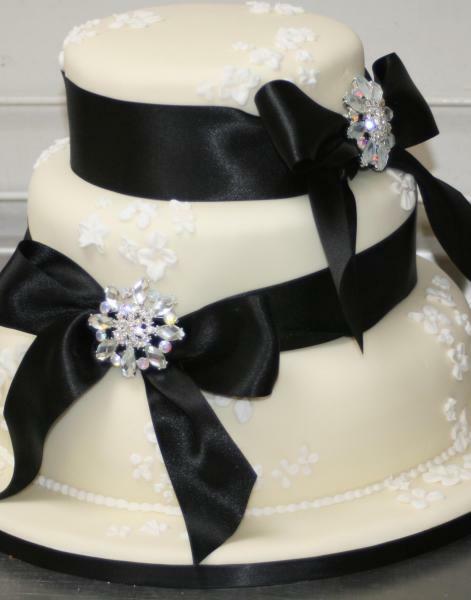 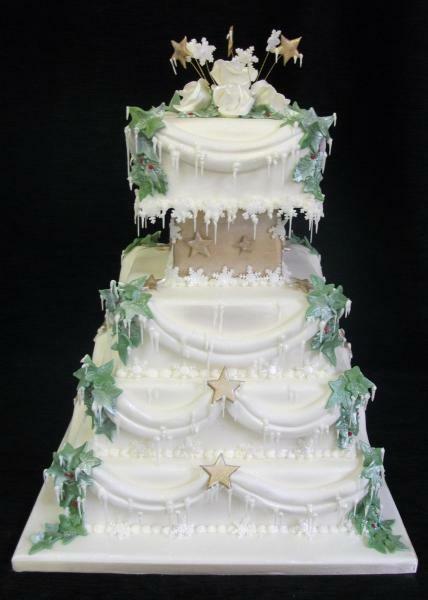 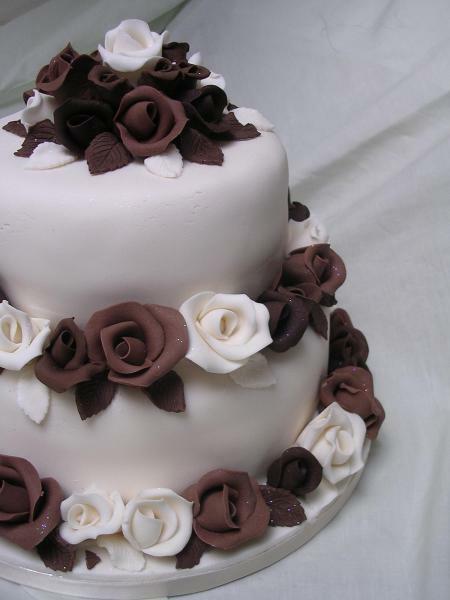 White scroll work is handpiped on to ivory icing, and each tier is simply finished with a wide black ribbon. 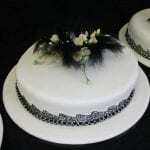 Black icing is piped onto white sugar paste in various designs to give a clean, stylish and very striking effect. 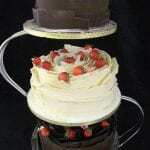 The cake can be stacked or the tiers can be made individually to accommodate the cake stand of your choice. 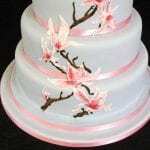 The “toppers” can be individually designed to match your wedding theme, or supplied by yourself. 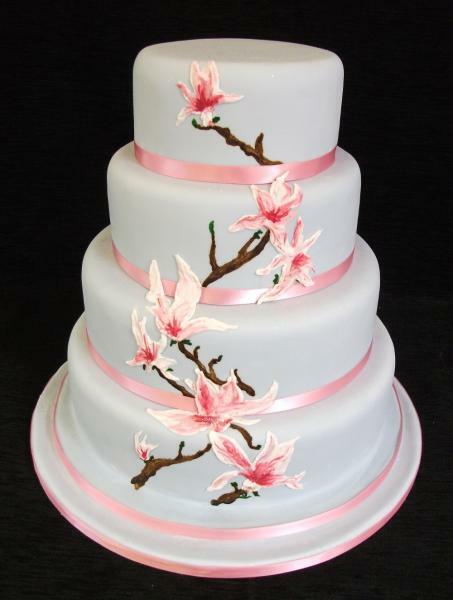 A four tier stacked wedding cake covered in pale blue sugar paste. 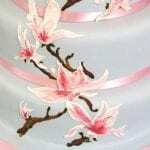 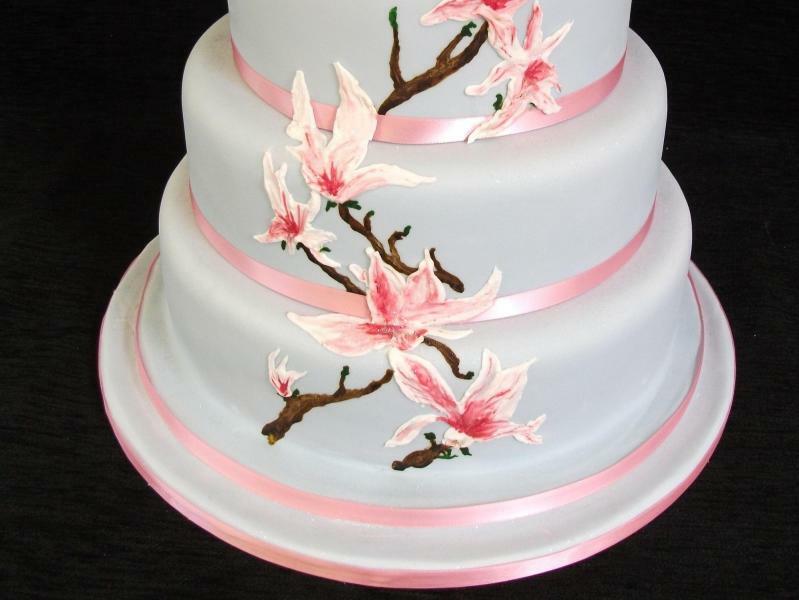 Orchids are hand painted onto each tier with a raised effect for a dramatic impact.